AMO’s tradition of experimentation with imagery, jokey self-referential installations, and the power of perception has arrived in China. From now through August 14, True Me will be on display at the 798 Art Factory in Beijing, presenting guests with distorted selfies, monochrome rooms, and anime-inspired installations. True Me was organized in conjunction with AMO, the Chinese selfie app (and data vacuum) Meitu, and the Beijing Contemporary Arts Foundation to celebrate Meitu’s new logo. 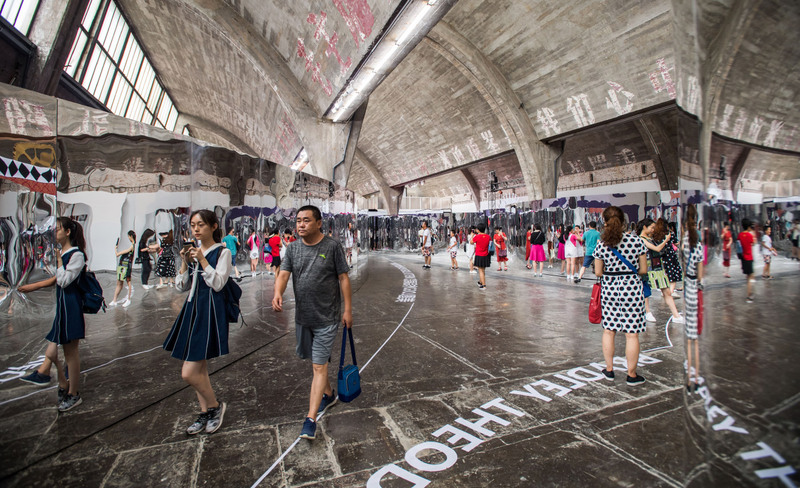 The show simultaneously skewers and celebrates “selfie culture”: wavy mirror walls wrap the exhibitions and line the show’s circulation, warping the reflections of guests as they move through the Art Factory. According to AMO, this is to show patrons their heavily post-produced “outer self” that social media users project on image sharing apps. The “inner self” is represented too, with six installations meant to evoke visitors’ raw, softer internal life. These spaces are covered in felt, flannel, and grass, and contain photogenic backdrops that were highly influenced by pop culture. Ironically enough, each installation is highly Instagrammable and will likely feature in just as many “outer self” photographs. The spaces range from neon-pink cosmetic mockups, to a faux arcade wallpapered with anime characters in dynamic poses, to a giant backlit eye, to a long purple hall containing alternative versions of the Meitu logo. True Me was led by OMA Partner and Asia Director Chris van Duijn and is AMO’s first exhibition in China. It’s far from AMO’s parent firm OMA’s first project in the country, however. Most recently the firm won a competition to master plan and design an enormous “Unicorn Island” in Chengdu. Explosions of summer color are coming to New York City as San Francisco’s sold-out Color Factory pop-up installation is set to brighten Manhattan's streets starting on August 20. A 20,000-square-foot interactive exhibition from artist collaborative Color Factory will open in SoHo and will be accompanied by 20 “secret” color installations hidden across Lower Manhattan. 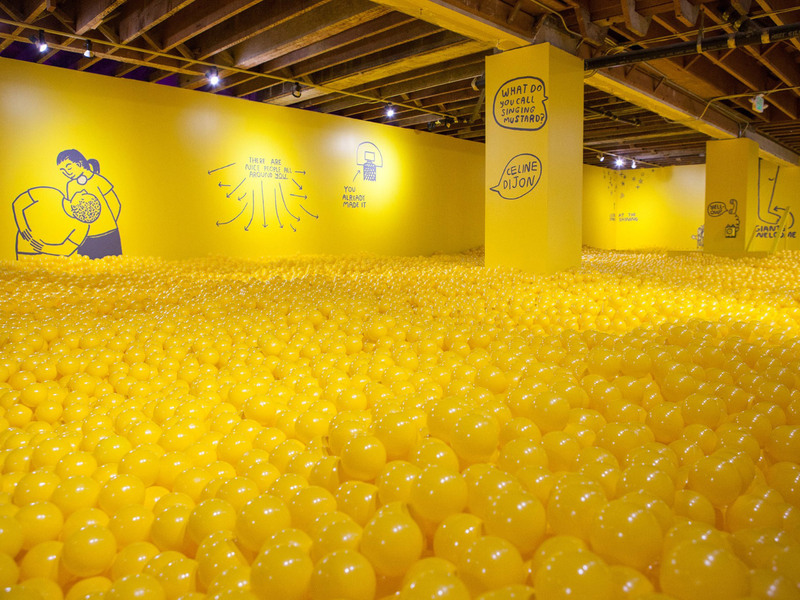 The original Color Factory installation opened last August in San Francisco for a four-week run that eventually expanded to last nearly eight months. That show brought together a star-studded roster of local and international artists to create an exploration of color that went viral on Instagram, and Color Factory is looking to replicate that success in New York. 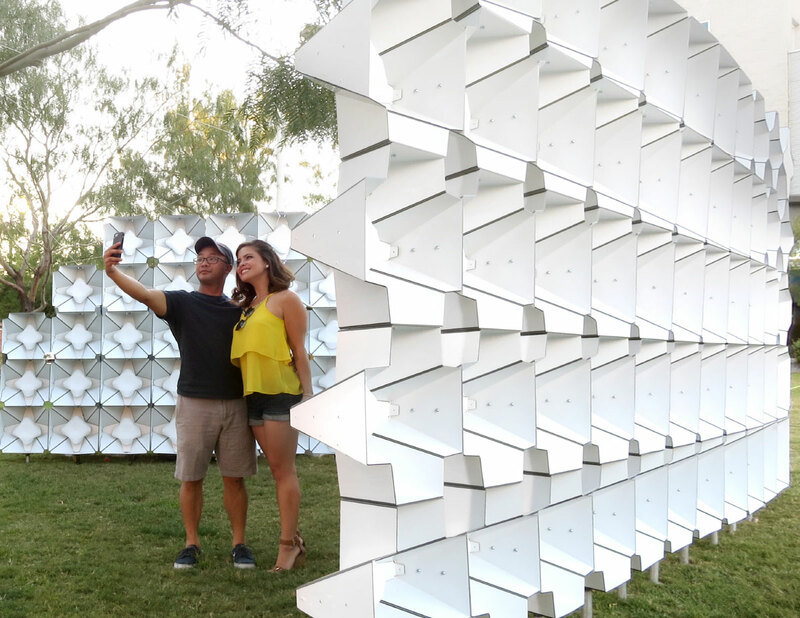 Instagram-friendly installations and pavilions have exploded in recent years, and lauded firms from AGENCY to Snarkitecture have all jumped on the bandwagon, delivering selfie walls and all-white takes on the form. Let's not forget pop-ups like the Museum of Ice Cream, either, soon to be joined by its long-lost cousin the Museum of Pizza. The California version of Color Factory involved multiple explorations of color in light works, several monochrome rooms (currently all the rage), rainbow decals, fabric, balloons, and technicolor plastic furniture. The New York version seems like it will keep to the same vein; visitors will be able to experience 16 rooms, including a bar filled with mocha in every color of the rainbow, a light-up dance floor, a room full of ombré balloons, a room where participants can walk through a guided experience to discover their own “personal color," an enormous full-room ball pit, and custom illustrations from New York artists. After guests are finished at the exhibition, they can pick up a map to the 20 “secret experiences” Color Factory has hidden across the island, and the group says that the installation will be inspired by the colors of New York. ﻿﻿﻿ Manhattan Color Walk from Color Factory on Vimeo. Color Factory is no stranger to New York’s streets. Manhattan Color Walk, a survey of colors from 265 individual Manhattan blocks, recently wrapped up at the Cooper Hewitt. The free installation was on display through June and adorned the museum’s terrace, garden, and walkways with colored bands pulled from New York’s most unique and ubiquitous colors. Color Factory staff walked and biked from West 220th Street all the way down to Battery Park and translated one color per block into a stripe at the museum and released an accompanying guide. General admission tickets for Color Factory are now on sale for $38, and the exhibition will be open at 251 Spring Street after August 20 from Thursday to Tuesday, 10:00 AM through 11:00 PM. Instagrammers who are fed up with the proliferating bans on selfie sticks in more traditional museums can now find solace at a new pop-up in Glendale, California. From April 1 through May 31, visitors to the pop-up Museum of Selfies can learn more about the history of the photographic form, as well as take their own memorable snapshots. Co-founded by two escape room designers, Tommy Honton and Tair Mamedov, the museum’s installations are designed to bridge the gap between mainstream consumerism and the more aloof air of the art world. Through recreations of famous Van Gogh paintings and satirical takes on common selfie locations (gyms, cars, restaurants), guests are encouraged to take their own selfies while also viewing examples of self-representation throughout the ages. In a tour ahead of the museum’s official opening, Hyperallergic spotted hyper-saturated walls with giant placards, an iron throne made of selfie sticks, and a black-and-white photo studio. All of the pieces double as Instagram-worthy backdrops on their own, complete with suggested hashtags. Even the museum’s bathroom is in on the fun, as the “mirror” actually leads to an empty, symmetrically-designed room and fails to reflect viewers. With new work commissioned from both domestic and international artists, including ruminations on how selfies have destroyed priceless art and in some cases lead to death, the museum wants to examine how interactions with art have been changed by technology. The macaque monkey selfie, responsible for a legal battle over ownership of the photograph that bankrupted the camera’s owner, has been put on display along with speculative graphic art and gags. "The relationship between people and art has changed," Mamedov told Mashable. "Now people don’t want to just be a silent consumer, they want to be a part of the art. There are many more selfies with the Mona Lisa than actual Mona Lisas." The Museum of Selfies’ merging of artistic theory with mass-market consumerism is deeper pop-up fare than, say, the Museum of Ice Cream, and the questions raised by the exhibition echoes those that the architectural field are still grappling with. 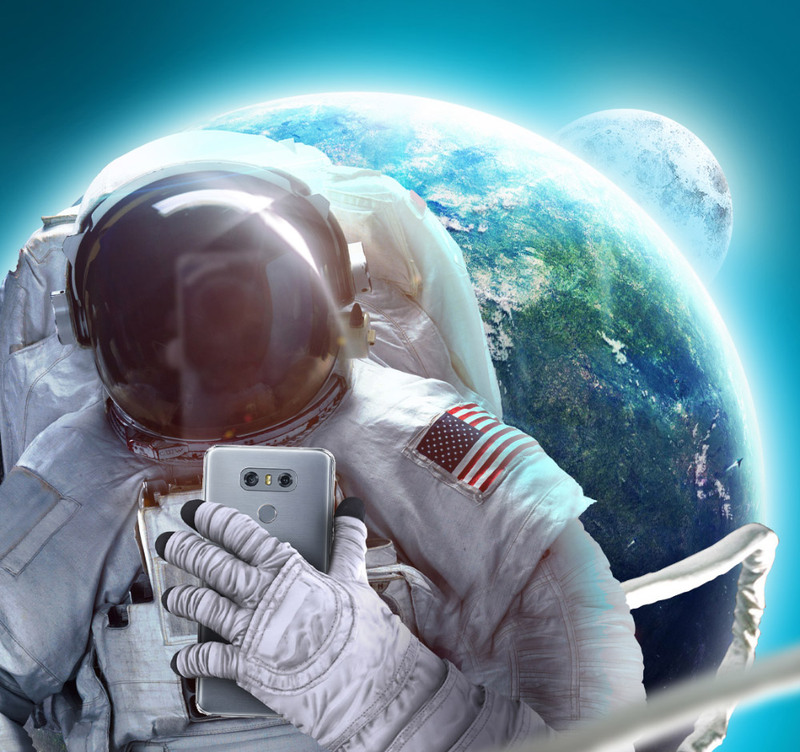 How are image-sharing apps affecting architecture and design? With 800 million active users and 95 million photos and videos shared each day, Instagram is affecting our visual perception like no other platform. Users distribute literally millions of photos, spreading trends, popularizing places, and ultimately, influencing built and designed environments. 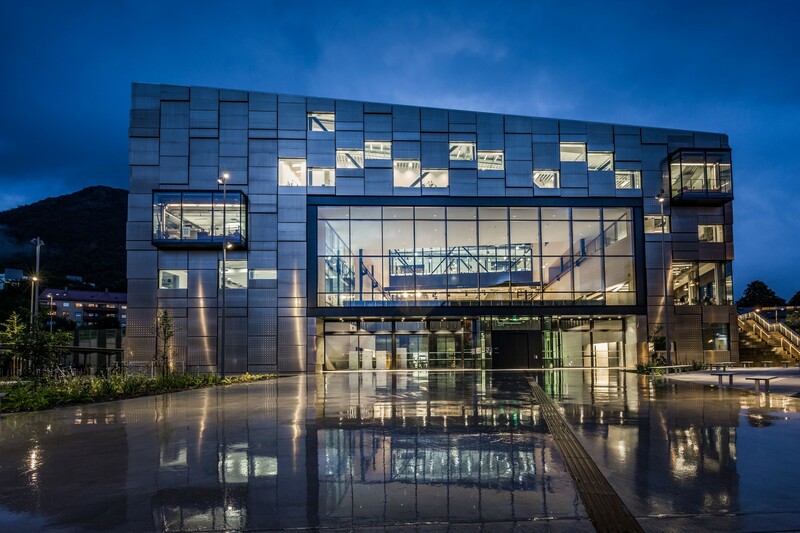 Although it is still early for major buildings to outwardly reflect Instagram’s impact, architecture is rapidly becoming saturated from the inside out. Philippe Maidenberg, known for his interior work in hotels across Paris and the UK, including the Holiday House London, is very aware of how social media has altered clients’ expectations. “Clients have shifted from thinking about design to envisioning new ways of life,” he explained. “Hotel owners want public spaces that are more alive and more comfortable than ever before; office owners want spaces that look like hotels. The standards are getting higher and higher for the greater good.” In New York, firms like Paperwhite Studio and Home Studios have made veritable reputations from crafting “Instagrammable interiors” for restaurants such as Jack’s Wife Freda, Cha Cha Matcha (Paperwhite), and Elsa, Ramona, Sisters, and The Spaniard (Home Studios). Rich, memorable colors, personal touches—down to the custom sugar packets—and dramatic moments such as sweeping brass lamps and neon signs all apparently contribute to the restaurants’ Instagram popularity. Maidenberg believes the portmanteau “Instagrammable” merely means photogenic: “In reality, every space inside a project has to be ‘Instagrammable.’ There is a similar way of thinking among architects, directors, and photographers. On the top of their minds, they’re always considering, ‘What will visitors see when they see the building? When they go inside the building? How can we surprise them?’” Obviously, the basic notion of creating photogenic architecture is not new. It can almost be simplified to a 21st-century version of Robert Venturi and Denise Scott Brown’s “ducks” versus “decorated sheds” in Learning From Las Vegas. But although there are definite parallels to postmodernism replacing modernism and maximalism writ large in pastel whimsy replacing high-minded minimalism, new equivalent definitions of ducks and decorated sheds remain murky. Somewhere in this vague category is the plethora of “museums” that opened in 2017. More pop-up galleries than actual museums, these repositories of vibrant mise-en-scènes provide opportunities for snap-happy visitors to create totally next-level selfies to share with their friends. The most notable are the Museum of Ice Cream (New York, Los Angeles, San Francisco, and Miami), the Color Factory (San Francisco), and 29 Rooms (Los Angeles and Brooklyn). And by notable, we mean that going up against museums such as the Louvre, the Tate Modern, and the Museum of Modern Art, the Museum of Ice Cream landed the tenth spot on Instagram’s “Most Instagrammed Museums” list in 2017, and its Los Angeles location alone claimed the sixth top spot in “Most Instagrammed Museums in the U.S.” Legitimate museums have taken note, crafting photo-worthy installations and creating hashtags to promote sharing across social media. “It’s a level of feedback that we have never really had before,” said Andrea Lipps, assistant curator of contemporary design at Cooper Hewitt Smithsonian Design Museum. “People do use the hashtags, and then we notice the trends of where people are taking these photos and how they are accessing the information and what they are interested in. It’s become a really valuable tool.” But those whose work is on display may see it differently. Brooklyn-based artist and designer Sebastian Errazuriz believes that the best name for these spaces and our new era of obsessive image sharing is “prop art.” “It is very disappointing to see work being misused as a prop for a self-portrait because when that happens, it stops being seen,” Errazuriz said. “And when more content is created just to be shared and to function as a prop, more people will see that as successful content to create and will emulate it.” At the same time, Errazuriz learned to harness the power of Instagram early when he created the entrance installation for the Collective Design Fair in 2013: a series of box fans that had “Blow Me” written across them in neon. “The ‘Blow Me’ fan, if you see it just by itself, is a funny association that is provocative and sexual in nature. But, when I get commissioned to design something like an entry piece in an art fair, I am essentially being told, ‘Go, Sebastian, do that thing you do, do the monkey dance, show me something impressive.’ So, in this case, I made a fan that literally blows them away. It takes a lot of balls for the artist to say ‘blow me,’ and it takes a lot of balls for the client to tell everyone to ‘blow me.’ Then, it has the neon pink which is the cliché of every art fair and was designed as a square precisely to be as Instagrammable as possible. It generated more press than the whole fair combined; and I did the monkey dance and it undermined the effects of the fair.… It was all about distilling enormous amount of stuff in one thing.” Errazuriz was also concerned about the implications of the Snapchat x Jeff Koons Balloon Dog in Central Park. 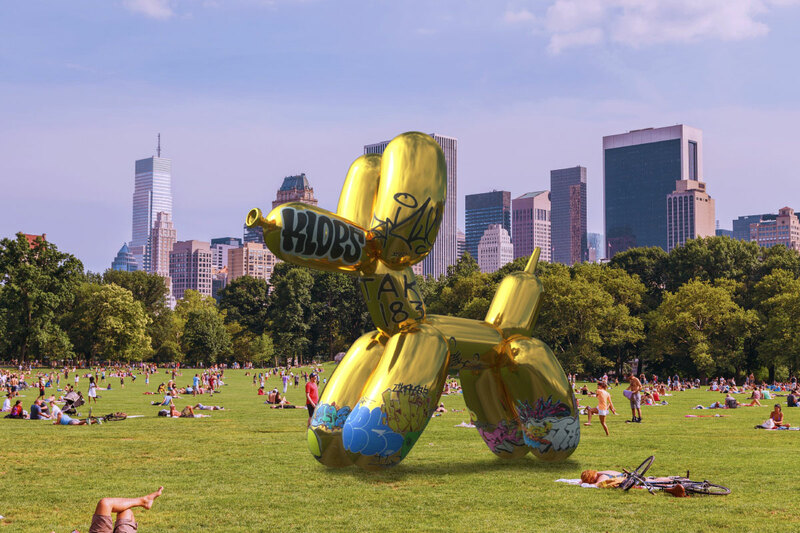 “There is a very real risk of corporations like Snapchat taking over the digital art space and dictating new representations of what art is, like Jeff Koons’s Balloon Dog,” Errazuriz said. “So when I saw that, everyone in my studio stopped what we were doing and in 24 hours managed to recreate an exact replica of the dog, tagged it with graffiti, uploaded it, geotagged it to the same destination, submitted it to Snapchat, and sent out the press release. I think it generated a lot of interesting articles about public space and the notion of virtual vandalizing.” This is the inherent irony in Instagram: Even as designers and architects decry its influence, they are aware that they rely on it. Consider OMA: When it updated its website in 2014, the firm opted to change its landing page to an Instagram feed with software that picked up the geotagged images in a certain perimeter around OMA’s buildings and projects. “We’ve discovered that amateur pictures tell a different story,” said OMA partner Ippolito Pestellini Laparelli. “There are a lot of unexpected surprises and beautiful moments that are not as present in staged photography.” Shifting the power of perspective to boundless viewers creates possibilities, but also engenders limitations. The art, design, and fashion worlds have already begun to chafe against the effects of shortened trend cycles, altered client demands, and distorted design priorities. Will architecture follow suit? #maybe. 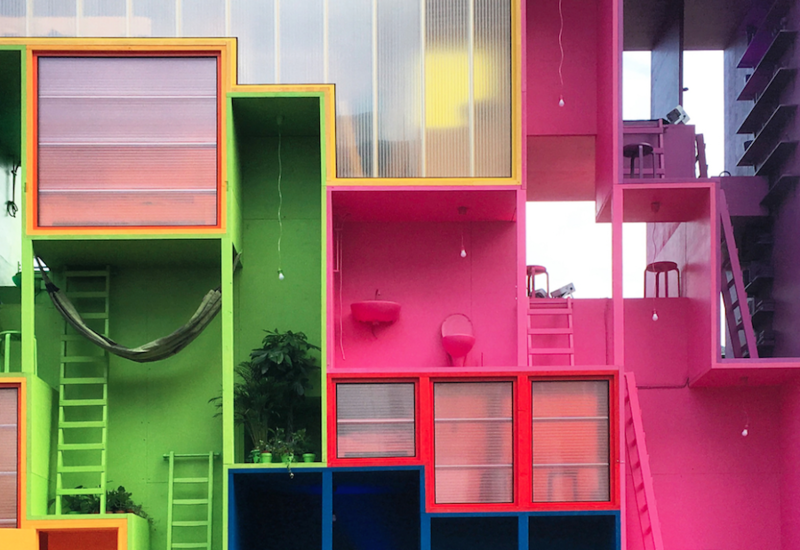 At The Architect’s Newspaper, we’re plain addicted to Instagram. Sure, we love seeing Brutalist concrete through “Inkwell” or “Ludwig” filters, but there’s also no better place to see where architects are getting their inspiration, how they’re documenting the built environment, and where they’ve traveled of late. Below, we bring you some of the best Instagrams of this past week! (Also, don’t forget to check out our Instagram account here.) It was a busy weekend in New York. In Sara D. Roosevelt Park on Saturday morning, the New Museum's latest iteration of IdeasCity kicked off with a host of temporary wooden structures hosting keynotes by speakers like Trevor Paglen, who lectured on visual recognition technologies. https://www.instagram.com/p/BZG5fWFhG4W/?taken-by=ideascity Later, on Saturday night, Storefront for Art and Architecture opened their new exhibit Souvenirs: New York Icons. 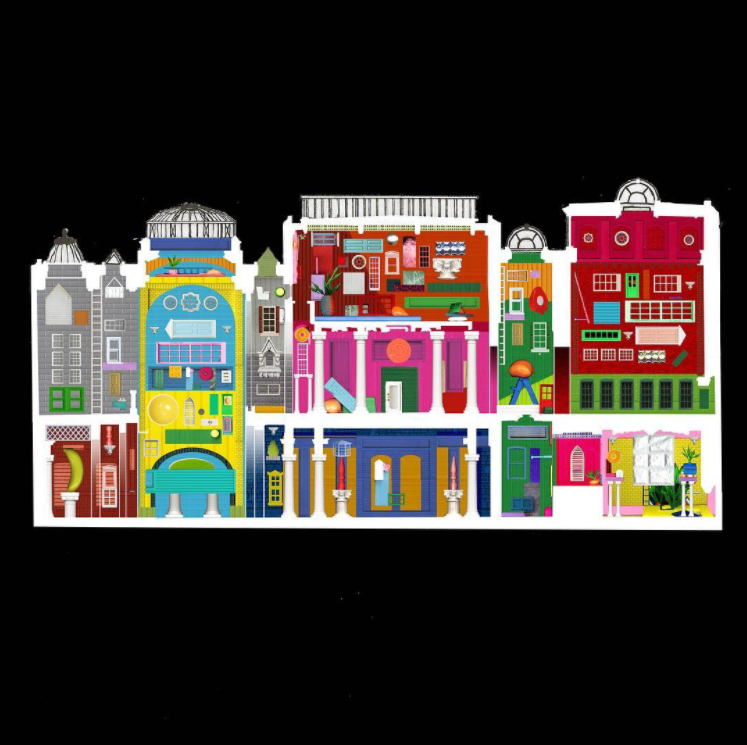 More than 59 artists, architects, and designers were asked to create souvenirs for each of the city's community districts. It was so crowded we had to escape through the Holl in the wall. https://www.instagram.com/p/BZTw_02nC1c/?taken-by=oma.eu Across the pond, OMA posted renderings of their designs for Amsterdam's Schiphol Airport, clutch the pearls. https://www.instagram.com/p/BZQy_0sHBIt/?taken-by=3xn_gxn Danish firm 3XN demonstrated how their new children's hospital design was inspired by the movement of two hands opening. 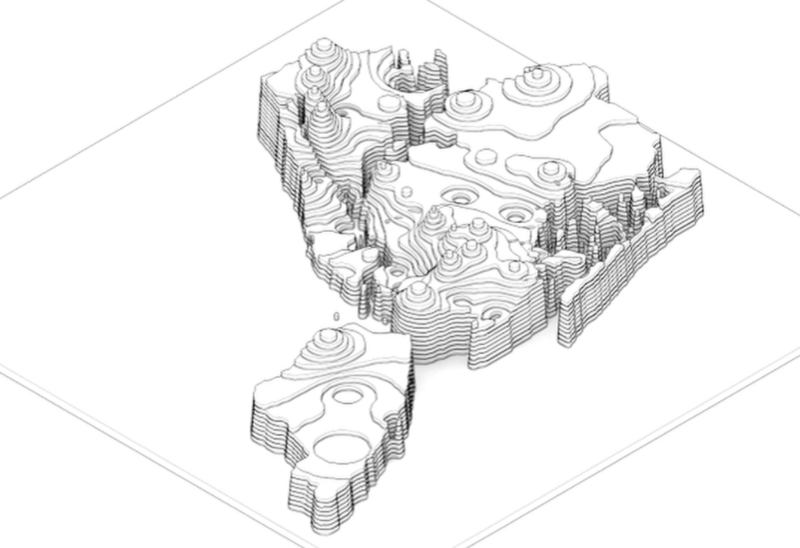 https://www.instagram.com/p/BZTYEh-AjFr/?taken-by=ekeneijeoma Artist Ekene Ijeoma announced he had created a new sculpture focusing on New York's immigrant community while reposting another sculpture we wrote about a while back that mapped out where low-wage workers can afford the rent, essentially forming islands of affordability. Still very relevant. https://www.instagram.com/p/BZNkVlflw7v/?taken-by=adjaye_visual_sketchbook We don't have favorites, but our perennial fave Sir David Adjaye has the best feed of all. He recently posted from the Aalto University in Finland—a beautiful little chapel by Hiekki and Kaija Siren from 1957. Take that, Louisiana Museum (1958). https://www.instagram.com/p/BZOy-16HlJf/?taken-by=exhibitcolumbus Jetting seamlessly back to rural Indiana, Exhibit Columbus highlighted a contemporary wigwam made of copper scales by Chris Cornelius of studio:indigenous. That's it for today, hashtag archilovers and quote-on-quote gallerinas. See you next week for more drama. At The Architect’s Newspaper, we’re plain addicted to Instagram. 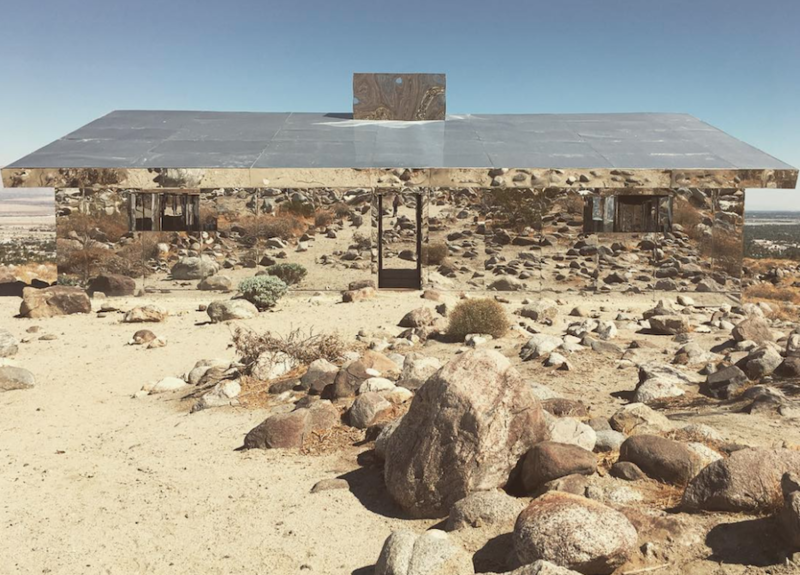 Sure, we love seeing Brutalist concrete through “Inkwell” or “Ludwig” filters, but there’s also no better place to see where architects are getting their inspiration, how they’re documenting the built environment, and where they’ve traveled of late. Below, we bring you some of the best Instagrams of this past week! (Also, don’t forget to check out our Instagram account here.) The City of Miami, days before Hurricane Irma is projected to make a direct hit, sent out its Fire Rescue Department's emergency recovery fleet to help out victims of Hurricane Harvey in Houston: Elsewhere on the continent, lighter content made it onto the feed. Andrew Kovacs' model for the 2017 Chicago Architecture Biennial was sighted in the wild, a re-imagination of Sir John Soane's home and museum as a dense, colorful cityscape. 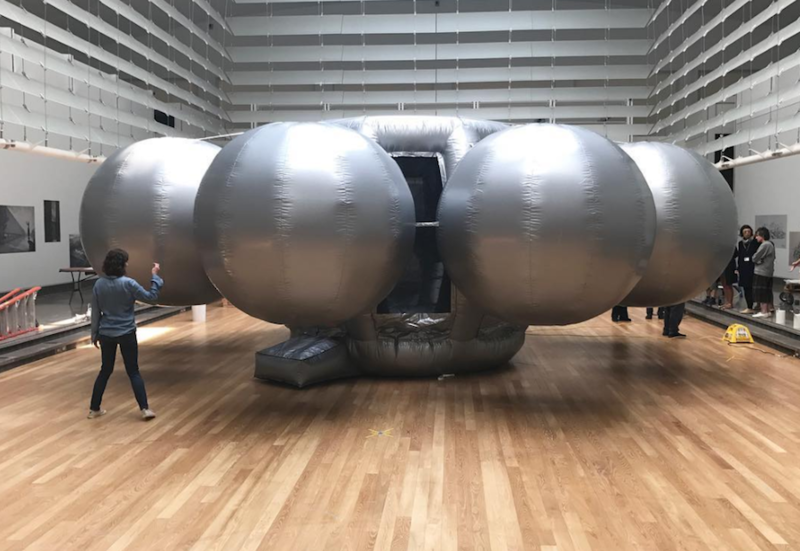 Over at the Queens Museum, Never Built New York (curated by AN contributing editor Sam Lubell and Greg Goldin) inflated a recreation of Eliot Noyes' unbuilt Westinghouse Pavilion for the 1964 World's Fair ... as a space-age, noded bouncy castle. Kind of looks like a fidget spinner, no? In the Zuidas neighborhood of Amsterdam, MVRDV has broken ground on Valley, a terraced green-tower mixed-use complex evocative of Stefano Boeri's Vertical Forest in Milan. The project is in collaboration with famed landscape architect Piet Oudolf. 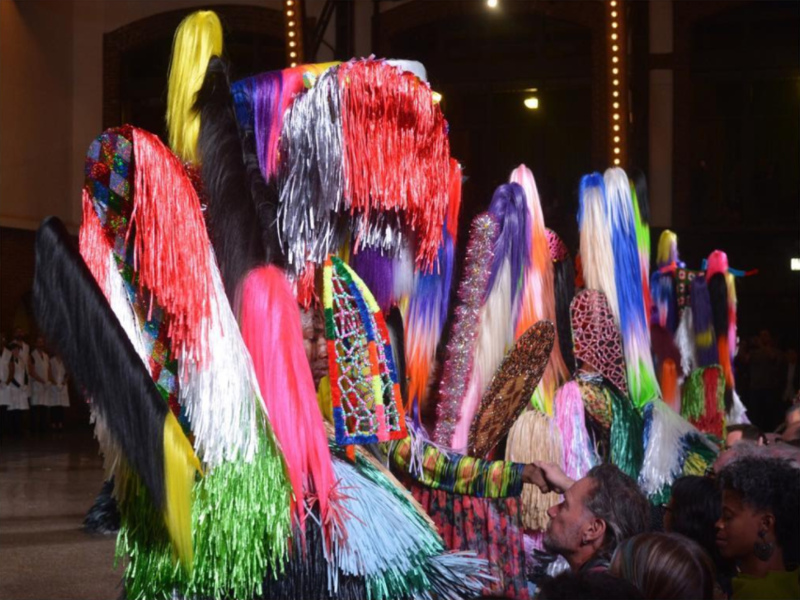 Finally, Studio Gang posted a Chicago magazine article on the collaboration between heavyweights Jeanne Gang and Nick Cave for the Navy Pier event opening both the Chicago Expo and the 2017 Chicago Architecture Biennial—but its content are still under wraps. At The Architect’s Newspaper, we’re plain addicted to Instagram. Sure, we love seeing Brutalist concrete through “Inkwell” or “Ludwig” filters, but there’s also no better place to see where architects are getting their inspiration, how they’re documenting the built environment, and where they’ve traveled of late. Below, we bring you some of the best Instagrams of this past week! (Also, don’t forget to check out our Instagram account here.) With summer drawing to a close, it's time to lay eyes on fall fun, and what better place to start than IG? Although Archtober, New York AIA's October architecture bonanza, is a full month away, the Chicago Biennial opens in just two weeks. Though we didn't find studio pics of bleary-eyed architects on a work binge, surrounded by takeout containers, we did see participating firms working furiously on their installations for the second iteration of the Biennial. Check out a few projects below: Andrew Kovacs (Archive of Affinities) debuted the colorful first drawing for his Biennial model on Instagram yesterday. And at Bureau Spectacular, model-making is underway. Meanwhile, CAMESgibson is hard at work on some sunshine. On the other side of the world, OMA is showing off pics of the nearly-complete Lab City, an engineering school in Paris.